If you are with a university and you would like for your school to join The National Radio Talent System™ and launch your own Radio Talent Institute™ please Contact Us. The Institute experience builds on the excellent education each student is already receiving at the university by bridging the campus-to-career gap that exists for every graduating student, and is done so in a way that is un-replicated. The National Radio Talent System brings 30 to 35 successful broadcasters to the campus to lead the sessions; and in many cases, these industry professionals would have little or no other reason to be connecting with the school. This is an opportunity to create and innovate something special. The Radio Talent Institute™ can be a signature program for the university. You will be filling a stated and obvious need in the broadcast profession, as well as setting up your students to be future leaders in media. We can advise and direct you in all areas and help you launch your first institute by not only providing the curriculum and other materials, but we will also recruit the professional broadcasters to come to your campus to teach. We will help you with national publicity inside the broadcast industry as well, and we can walk you through how it all works. We do all this for you. All the school has to provide is the facility and a direct contact person for the National Radio Talent System™. It can all be done in one room that is well equipped technically with internet, video and audio capabilities. 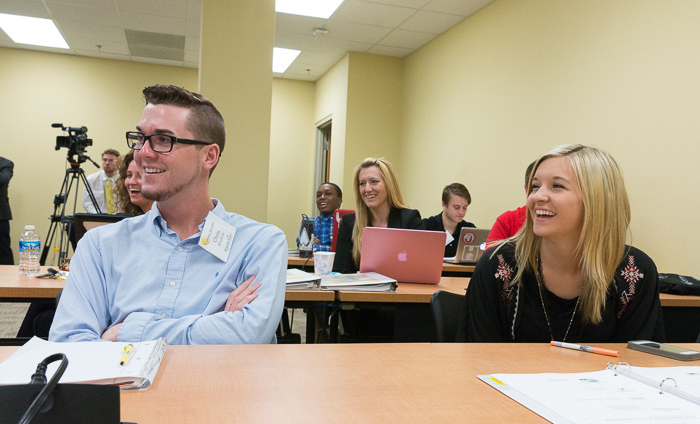 Through the Radio Talent Institute, the students will learn about every aspect of the broadcast business: sales, on- air, interactive, production, news, talk and sports, as well as personally meet professionals that can benefit them after graduation. National Radio Talent System targets selected geographically strategic universities across America. Provides an intense ten-day Radio Talent Institute agenda designed to create forward momentum and anticipation. College students apply from the host university; other university students in the state and region are also invited. The Institute is held on-campus for ten consecutive days during the summer. All applications and registrations are handled by National Radio Talent System. The Radio Talent Institute provides Radio Advertising Bureau sales training/Radio Marketing Professional Certification. All class sessions are led by successful broadcast industry professionals in each of his/her area of expertise. National Radio Talent System provides all needed materials. A custom website for the university is created and maintained by National Radio Talent System, bringing national exposure to your students who successfully completed the Institute, as well as to the university. Delivers an almost turnkey operation. Broadcast industry state associations, organizations or individual broadcasters provide the $30,000 sponsorship of the Radio Talent Institutes. Students who participate in the Institute have a substantially higher rate of post-graduate placement to start their careers. To date, almost seven out of every ten students completing the Institute are working in radio or related field. National Radio Talent System provides a unique Institute for your school that will become a signature program for the university in the state and region, contributing further to the university’s reputation as being the school for media. Many Institute students who graduate will eventually be hired by the industry professionals who lead class sessions during the Institute, and many students attain internships from the professionals they meet. The institute will contribute to building closer relationships between the University and Broadcast/Media leaders, as well as energize the Communications alumni as they will be excited about the Institute. Broadcast owners embrace and welcome the opportunity to meet young talent; and through the National Radio Talent System, students are highlighted and presented to broadcast companies locally, regionally and across America. After completion of the institute, the students are networked nationally through the National Radio Talent System. Your school will attract more high profile members of the broadcasting industry to come and lead sessions during the Institute; most of these men and women will not have connected with the campus otherwise. The school has the opportunity to impress these professionals and build relationships, which leads to positive imaging from these broadcasters for the school and Institute. A university staff or faculty contact person we designate as our On Campus Director for the Institute and to coordinate with the National Radio Talent System™ in the months leading up to the Institute, and to “carry the flag” on campus throughout the year. The National Radio Talent System pays a stipend to the On Campus Director. Work with National Radio Talent System to actively market and invite students from other universities in the state or region. University faculty to do the opening/welcome on the first day (Communications faculty, Chair, Dean, or President, etc.). A well-equipped room with all appropriate technology (Internet, audio, video). National Radio Talent System will hire university staff or students to record each industry professional’s session on video during the Institute. NRTS also pays a stipend for this. Someone from your staff or faculty to conduct video recorded interviews with each industry professional, getting him/her to talk about subjects in their area of expertise. This is typically done by the person designated as On Campus Director. The interview will go on your Radio Talent Institute™ website and will be available on the National Radio Talent System™ site. If you prefer, we can do this for you. On-campus housing and parking passes for the students free or at a low cost, if they have the need. Provide free parking for all Guest Professional Faculty. The only cost is an Affiliation fee of $7,750, which permits the use of the Radio Talent Institute™ and National Radio Talent System™ trademarks and we build and maintain a website specific to the university to place students from the Institute and to promote the Institute. The site is connected to the National Radio Talent System site. National Radio Talent System works with the Radio Talent Institute sponsor to cover all other costs.